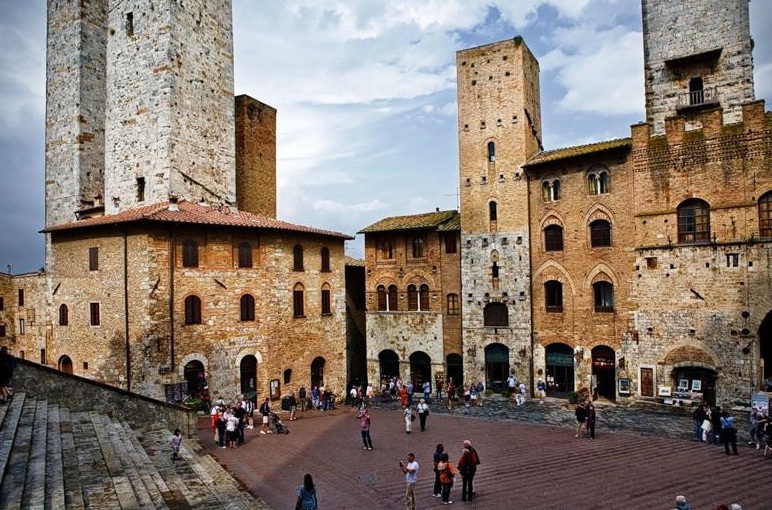 San Gimignano is the famous medieval town of beautiful towers in the heart of the Tuscan countryside near Siena. The foundation of San Gimignano is lost in the mists of time. 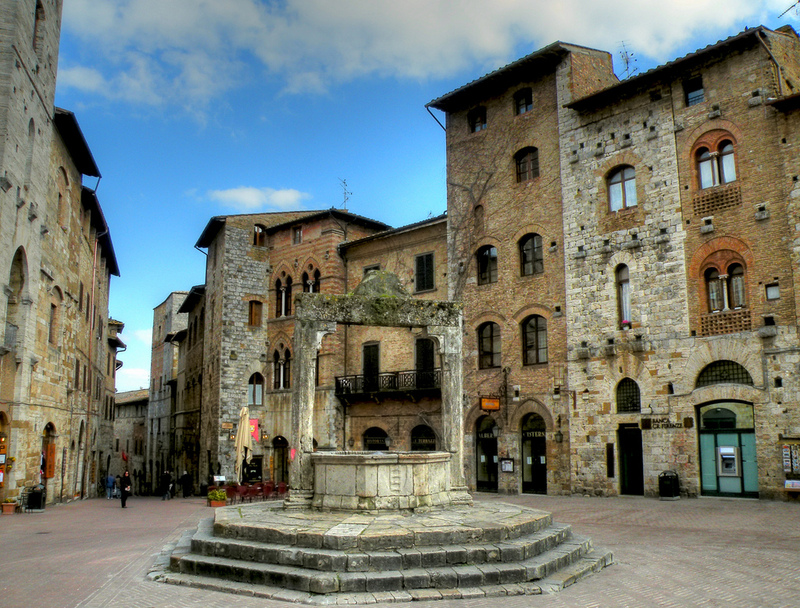 Legend has it that in 63 BC the two brothers Muzio and Silvio, young patricians fled from Rome because accomplices of Catiline, took refuge in Valdelsa and built two castles: that of Pile and to Silvia, future San Gimignano. 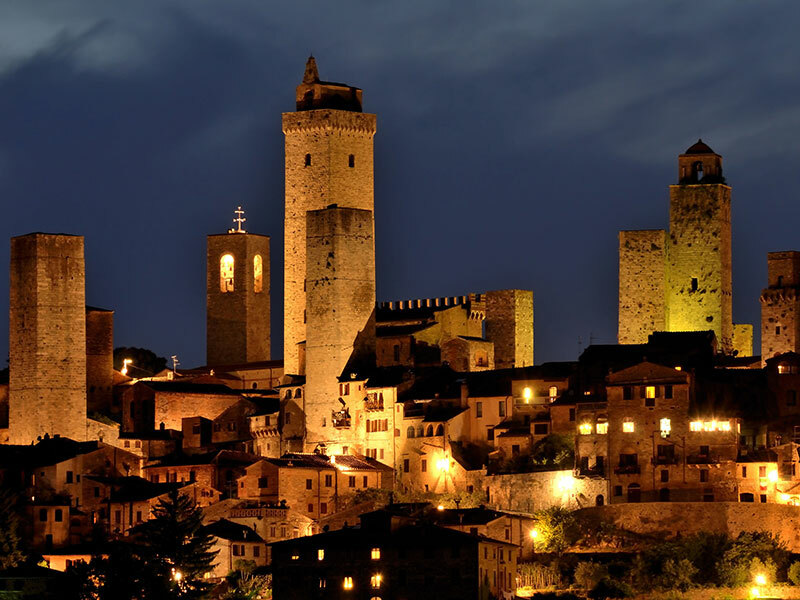 The development of San Gimignano took place mainly in the first three centuries after the year one thousand, when he found himself in a strategic geographical location. The city, bounded by the first wall and kind of riding hilly variant of the Via Francigena, became one of the main places of transit and stopover for all travelers.